Our water coolers are fitted with ultra-violet technology as standard! This simple but extremely effective technology delivers maximum hygiene right to the glass by making sure the water coolers’ dispensing area is constantly protected from bacteria and contamination helping to ensure your water is always safe to drink. It is environmentally friendly, safe and protects constantly unlike other water coolers where the sanitisation of taps only takes place once per quarter. The sterilising ultra-violet light protects the tap outlets and also the water entering the cup. The air that enters the bottle when water is drawn from the tap is also drawn from this protected area and is treated by the ultra-violet light. Water Cooler Hygiene and Sanitisation. Sanitisation is the name given to the cleaning of the parts of your water cooler that come into contact with the water. Water coolers need to be CLEANED and SANITISED periodically inside and outside to make sure they are hygienic. Our delivery team are all fully trained to do this for you and it’s all included in the service price. Mains Fed Water Cooler Filter. 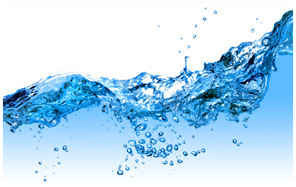 AquaPoint use as standard carbon block filters in all of our mains fed water coolers, we exchange these regulary to maintain the quality and purity of the water. The superior filters are designed to reduce chlorine, filter sediment and remove poor tastes and odours and dramatically improve the taste of the mains water.